Discover the ins and outs of diving off of boats from small inflatables to large liveaboards. Get ready to have access to much of the world’s best dive sites. Our PADI Boat Diver course takes place in one day with an experienced instructor, perfect for divers visiting or living near Seattle. 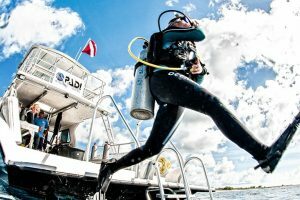 We offer the PADI Boat Diver course every other month, check our calendar for the next scheduled class date. In addition, we can teach this class any day of the week for divers visiting Seattle.